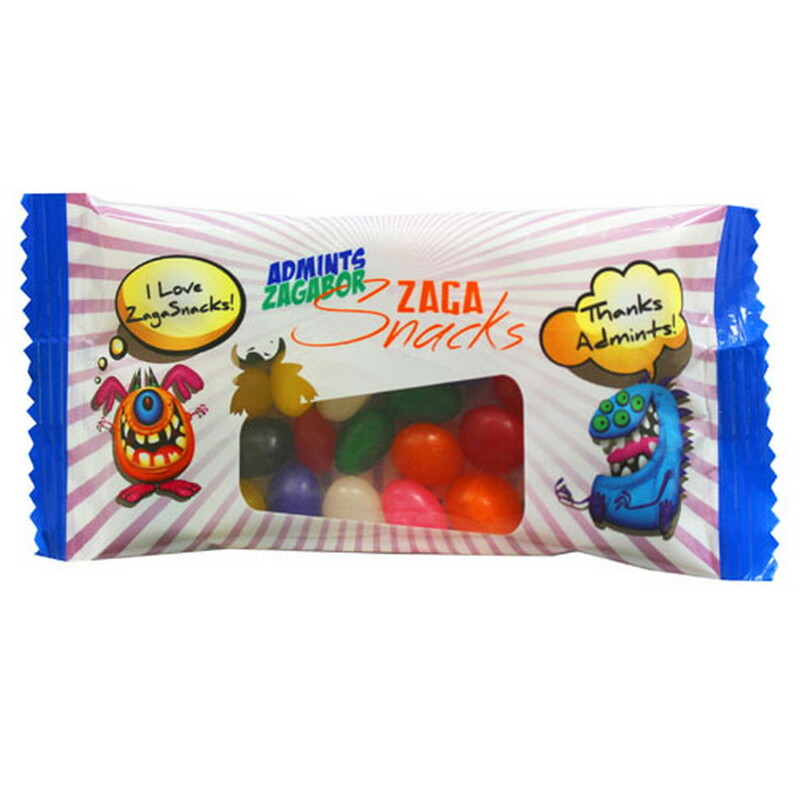 Our custom logo zaga snack promo pack bag is a 5" bag filled with jelly beans. Bring a smile to your customer’s face by giving them tasty treats using the Zaga Snack Promo Pack Bag with Jelly Beans. These promotional treats will take your brand name and logo to the next level with breathtaking four color process graphics. It features a 5" bag filled with jelly beans which ensures that your clients remember your brand as the best. Give away the jelly bean promo pack at trade fairs, carnivals, sporting events, schools, colleges, offices, and community events to gain widespread visibility for your brand.